A delicious appetizer or side dish! These lightly breaded and prebrowned Risotto Cakes are a creamy blend of arborio rice, pepper jack and parmesan cheese along with a mixture of roasted red peppers, poblano chiles and shallots for a zesty flavor with a little kick. 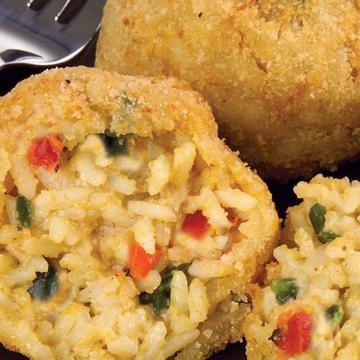 8 Risotto Cakes per bag.